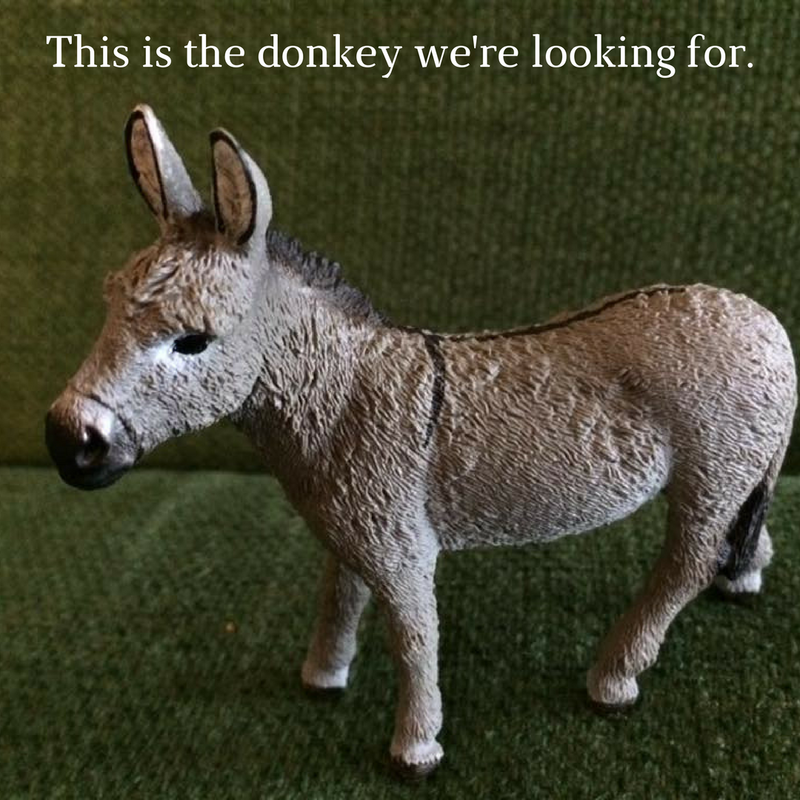 This is the donkey we’re looking for. Rev. Jemma Allen’s adorable sandpit donkey. Photo from Facebook. In my Lenten reading of Luke, I arrived today at Jesus’ Obi-Wan style entry into Jerusalem. The Force is used to get hold of a colt – “This is the donkey we’re looking for.” The wise man at the center of the action knows he will sacrifice his own life to give his comrades a chance at freedom from evil. By the time they understand, he will be gone, at least in body. We’re still working out our understanding. Well, maybe I should speak for myself. I’m still working out my understanding. Every year, as we cycle through these stories, I examine the nuances, resist the urge to preach or practice some Gospel compilation, and try to find a way in that makes the old story new. (If you’re preaching from Matthew, good luck explaining how he rode on the donkey *and* the colt.) I want everyone in the congregation to go with me through the false high of Palm Sunday and the building sadness of Holy Week, so that the joy and amazement of Easter Sunday will be more intense. I’m not sure any of this is the key to working out our salvation generally, but it seems to be how I do it. The acting out of little things matters to me: the swoosh of the Eco-palms waving, the aroma of shared bread, juice or wine splashing from pitcher to cup, the shocking shout of “Crucify him!” and the woeful stripping of the altar, the Bible closing and the silence of death. Why do we enact these pageants? We are making things that could be glossed over palpable. We are bringing the story to the body and putting the body in the story. Holy One, bless the church folk – pastors, singers, readers – who will be so busy in the next ten days enacting the pageants and rituals that bring the gospel to life. May their ministry be a blessing to others, and may their ministry bless them, too. Amen. I’m reading and blogging about Luke for Lent. Want to read along? The full schedule can be found here.